We are delighted to re-post a blog from our UK friend and colleague, Khurshed Dehnugara. This was originally posted Relume’s Challenger Spirit Blog. It poses two fundamental questions for us as we reflect on the past year and consider how we will live in 2012. I was stimulated this month reading an article by the Times‘ journalist, Jane Macartney, about the 2010 Nobel Peace Prize winner Liu Xiaobo – a Challenger to the Establishment in China – demanding democracy and freedom of speech for the 1.3 billion population. We have heard many stories in our work ranging from the light hearted to the emotionally dramatic, they don’t have to be awe inspiring to have an effect, they just need to be real. My colleague Asher tells the story of his mother deciding one day that her family were going to be self sufficient. (Asher is quite old so this was in the days long before the environmental movement). His mother’s expression of this commitment was the sudden purchase of a flock of sheep, after which point self sufficiency taught Asher a lot about standing for something that seemed impossible to achieve; championing an unpopular cause and finding a way of living on the edge of the established way of doing things! It also meant he wore ill fitting clothes for a while…. Where might your life as a Challenger have its roots? Can you identify a moment? Have a think about what your Challenger story may be, it can be a powerful way of learning about your leadership and sharing more of who you are with those that work with you. 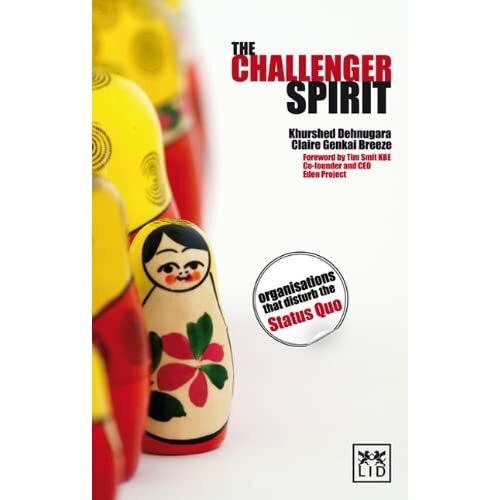 To read more on the Challenger Spirit, see the book.